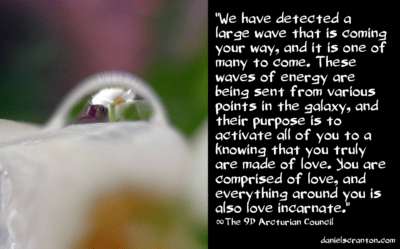 The Arcturian Council via Daniel Scranton, May 28th, 2018 – SOLSTICE waves of LOVE ! We have detected a large wave that is coming your way, and it is one of many to come. These waves of energy are being sent from various points in the galaxy, and their purpose is to activate all of you to a knowing that you truly are made of love. You are comprised of love, and everything around you is also love incarnate. 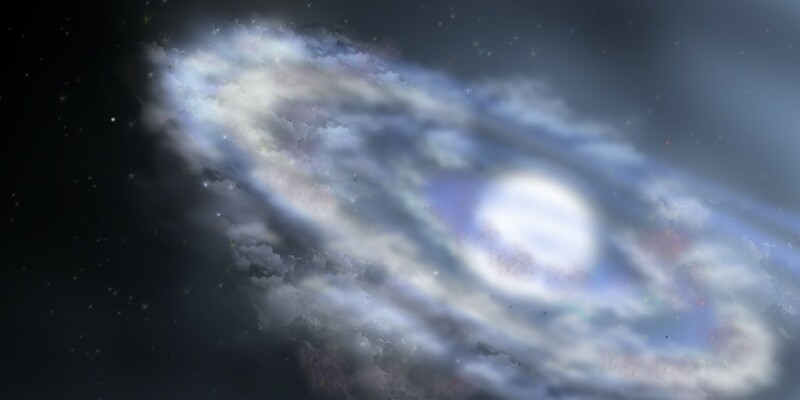 This particular wave is coming from the center of the galaxy, and it will arrive on the solstice. It will be the winter solstice for some of you, the summer solstice for the rest of you. Now, you are of course anticipating some big waves of energy, and they are coming your way. This one is going to help to dissolve any blockages that you have in and around your heart. And it is also going to awaken in your mental bodies this truth that you are all comprised of love. Love is who and what you are, and as you continue on, life is going to continue you to ask you to make that choice. You are going to be asked to choose between love and something else. It will be like so many movies that you see where that becomes the dilemma that the hero is facing. You are the hero of your own story, and much like the heroes that you see in these movies, you have help. You don’t have to do it all on your own, but you are the one who ultimately decides whether you allow in the wave of support, energy, and love that’s coming your way. You are the ones who get to decide whether you choose love or not. This wave will make it easier on you to make that choice, the choice that will bring you one step closer to the fifth dimension. This entry was posted in * AGE - OF - AQUARIUS, * ASCENSION - AWARENESS, * AVATAR ANGEL WORK, * COMPANY OF HEAVEN, * FREEDOM FIGHTERS, * Ground Crew MESSAGES, * HEALING NEW METHODS, * HUMAN LIFE INTERESTS, * INFORMATION SOURCES, * UPCOMING EVENTS *, + ARCTURIAN INFORMATION, + GALACTIC GUARDIANS, + GALACTIC HIGH COUNCILS, 9th DIMENSION INFO, ANGELIC HUMAN BODY, ANGELIC HUMAN RACE, Arcturian High Council, ASCENSION - FREQUENCIES, ASCENSION - HUMAN, BIBLICAL PROPORTIONS, CHRIST CONSCIOUSNESS, CREATION AWARENESS, DIVINE MOTHER EARTH, FREE MOVIES & INFO, GALACTIC HISTORY, GOD AND THE PROOF, HEAVEN'S BIRTH CANAL, Heavenly Divine Miracles, HOW YOU CAN HELP!, HUMAN RIGHTS INFO, LIGHT - WARRIORS, LIGHT - WORKERS, LIGHT ENERGY HEALING, NATIVE LIGHTWORKERS, PEOPLE - PETITIONS, SIGNS AND WONDERS, Spiritual Lessons Growth, Star Seed Information, SURVIVAL INFORMATION, UNITED WE STAND UP, WHAT IS HAPPENING ?. Bookmark the permalink.